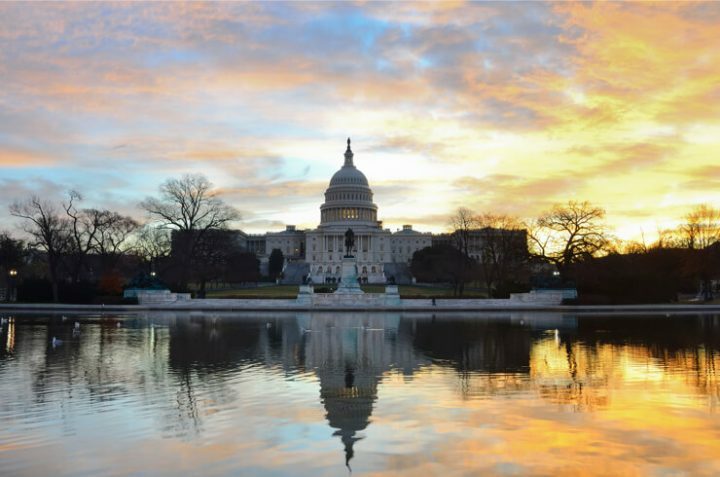 The District of Columbia was once at the forefront of regulated online gaming, as city officials in 2011 made history with legislation that authorized online poker. However, in February 2012, less than a year later, the D.C. Council voted to repeal the law in what was at the time a surprising 10-2 vote. Opponents of the online gaming approval, which had been attached to a budget bill, claimed that there was a lack of transparency in the process. Fast forward about six years, and D.C. finally looks poised to again try to bring online casino gaming out of the shadows. D.C.’s Committee of Finance and Revenue held a hearing earlier this month to discuss sports betting, including mobile. Like the online poker efforts, D.C. would modernize its lottery to make way for regulated sports betting. The legislation on the table is called the Sports Wagering Lottery Amendment Act of 2018. It was introduced in September by Councilmember Jack Evans. Evans, a Democrat, was the man to sponsor D.C.’s online poker repeal law. In a statement announcing his new sports betting bill, Evans’ tone with regard to online wagering was much more urgent. Back in 2012, D.C. wasn’t facing pressure from online poker industries in neighboring states. That’s not the case right now with sports betting, which is quickly spreading through the region. It’s also worth mentioning that Councilmember Vincent Gray, a Democrat, is a co-sponsor of Evans’ bill. Gray was mayor of D.C. in 2012 and supported the online gaming repeal. It’s probably safe to assume the council is more up to speed on online betting than it was in 2012. Testimony at D.C.’s mid-October sports betting hearing referenced the size of the sports betting black market (around $150 billion, according to the D.C.-based American Gaming Association). These days, the “best revenue” for D.C. would come from online sports betting, not online poker. Back in 2012, the D.C. Council was eyeing about $100 million from regulated online gaming over 15 years. Councilmembers are now looking at a 10% tax on sports wagering revenue. Under the D.C. sports wagering bill, the lottery will act as “an operator of sports betting through a district-wide digital platform and a network of brick-and-mortar retailers,” said testimony from Beth Bresnahan, executive director of D.C.’s Office of Lottery and Charitable Games. According to Bresnahan’s testimony, a lot has changed in just the six years since D.C. tried its hand at online poker. She said that there’s been a “dizzying shift in consumer behavior toward ‘on-demand’ online and mobile purchases,” which has hurt the nation’s only city lottery. Sports betting “will provide a prime opportunity for the D.C. Lottery to broaden our appeal and brand recognition, particularly through mobile, at the same time expanding our player base to new audiences and importantly, net new retailers,” she added. A D.C. mobile sports betting roll-out could happen in four to six months after the bill becomes law, according to the testimony. Though the mid-May Supreme Court ruling was about sports betting, it further bolstered state autonomy when it comes to gambling. SCOTUS’ ruling to strike down the Professional and Amateur Sports Protection Act of 1992 is giving states more confidence to approve internet betting. Online already accounts for more than half of New Jersey’s sports betting revenue. Prominent D.C.-based online gaming attorney Jeff Ifrah said in written testimony to the D.C. Council that officials should approve online poker and online casino, in addition to sports betting. According to Ifrah, D.C. can maximize its sports betting revenue by allowing other forms of internet gaming. There’s significant crossover between the online offerings. “The most effective state legislation will provide for the triumvirate: sports, poker, and casino games,” he said. Evans’ bill is still open to amendments for at least the next several weeks. If D.C., which isn’t home to any brick-and-mortar casinos, wants to generate tax revenue comparable to what it was eyeing six years ago from online betting, it will likely need to approve more than just sports wagers. D.C. would need to see more than $1 billion worth of sports wagers annually to rival the previous online gaming projections. Sports betting is a low-margin business. That’s not impossible given the strong local sports culture, but D.C. should follow the Garden State model and go all in to protect consumers and generate as much tax revenue as it can. Golden Knights, Year 2: Is The Vegas Team Still The Center Of The NHL Betting Universe?